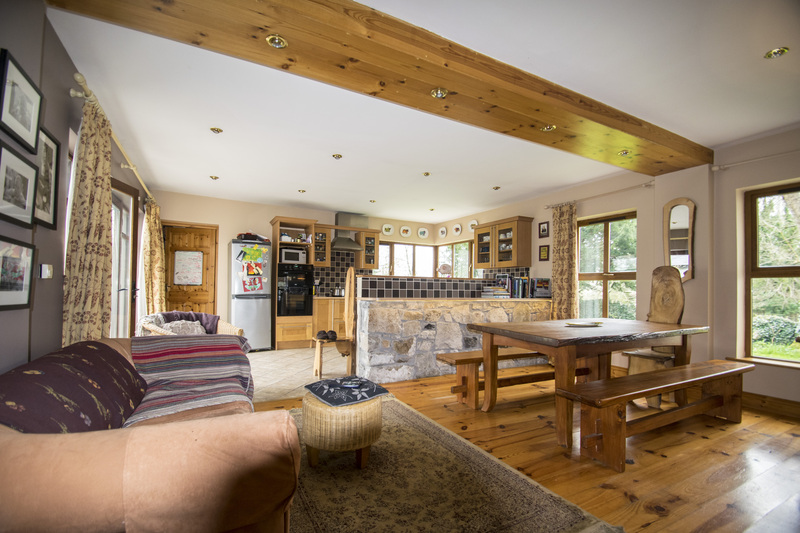 Located on the most beautiful stretch of the sought after Dark Road in Castletaylor North, this is a home that is unique in many ways. 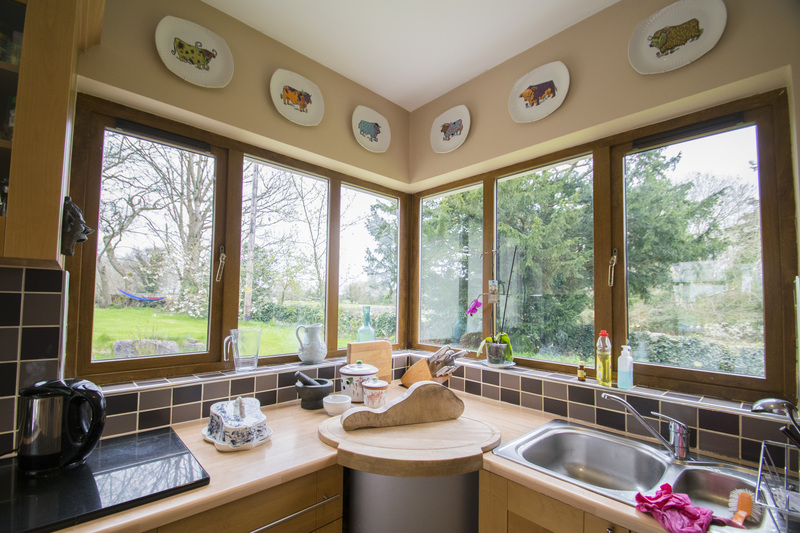 The house itself was architect designed to maximise light and to frame the unspoilt countryside views. 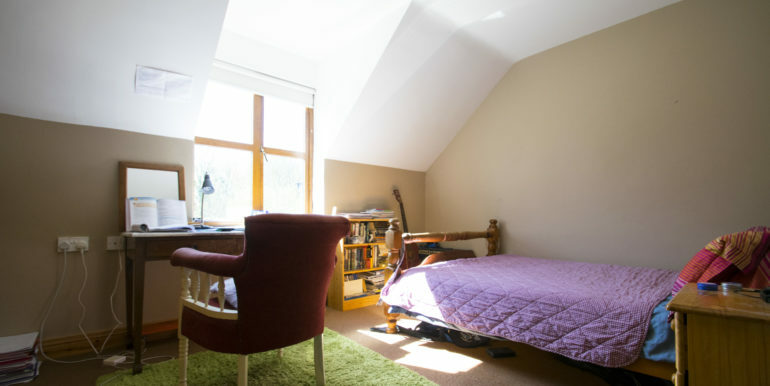 From outside to in, there’s an effortless flow. 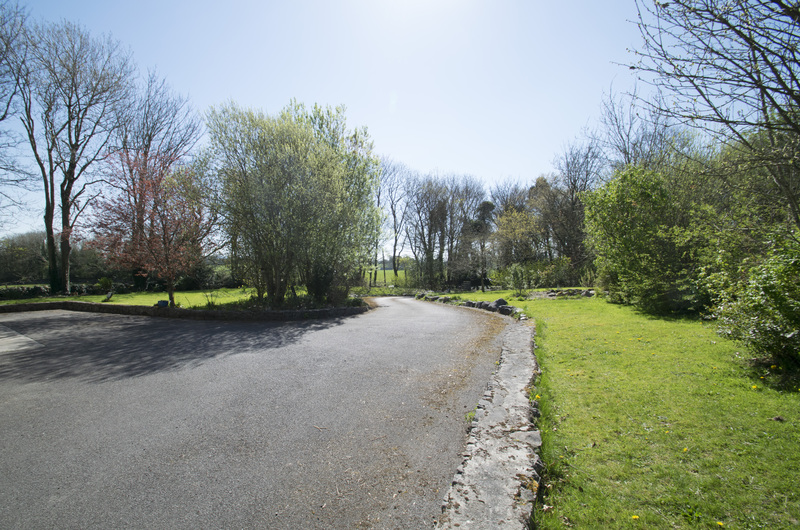 A sweeping driveway curves up through the tree-lined garden past the water lilies that flower in the fishpond. 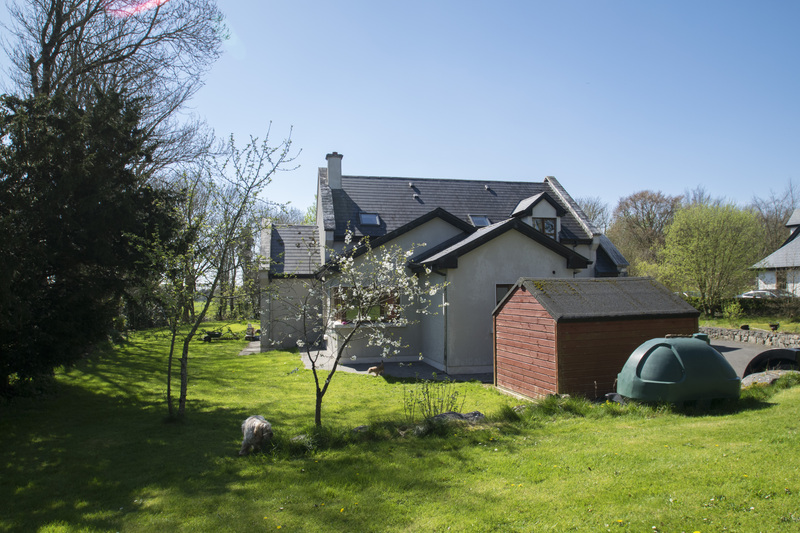 Mature trees line three sides of the property creating a sheltered suntrap from April to October. 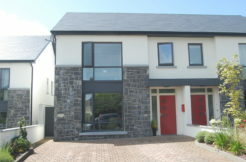 The front porch features Connemara granite. 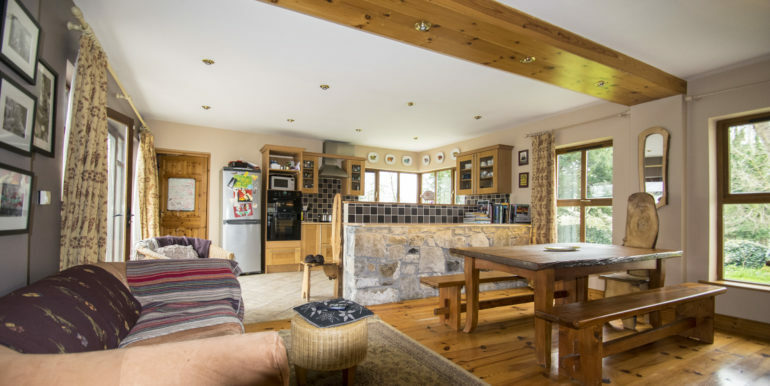 That same stone was also used to create a hand crafted fireplace in the living room and a large breakfast bar in the kitchen. 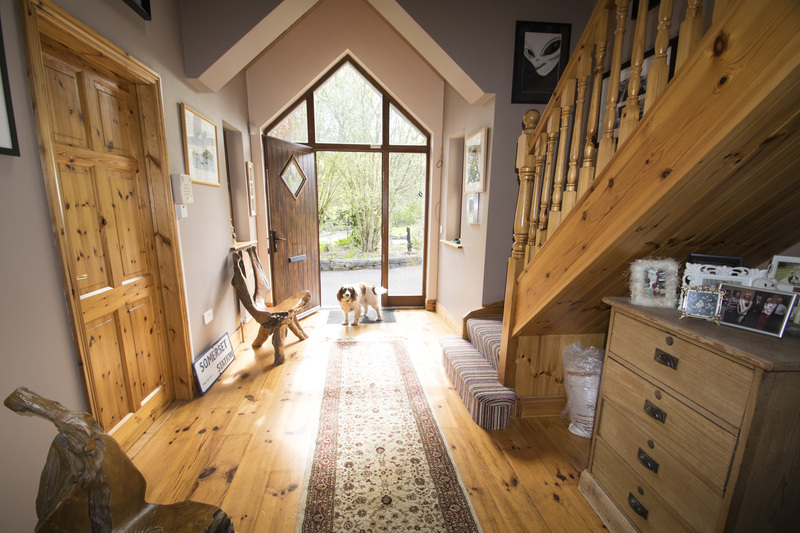 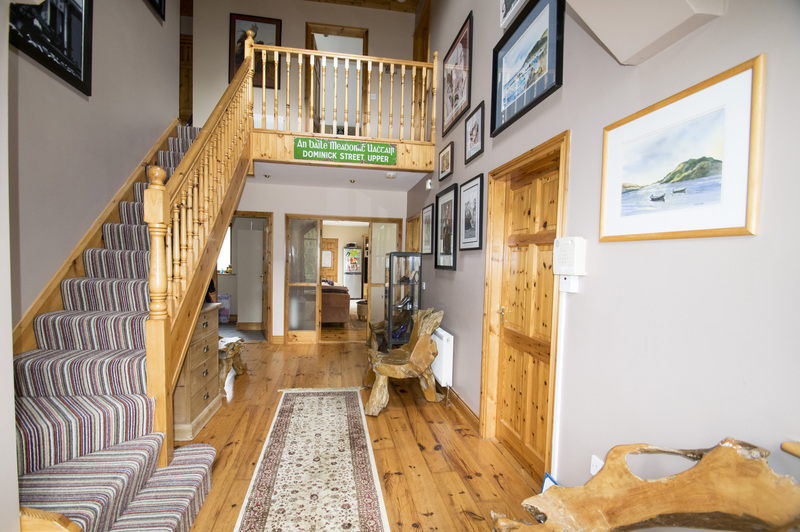 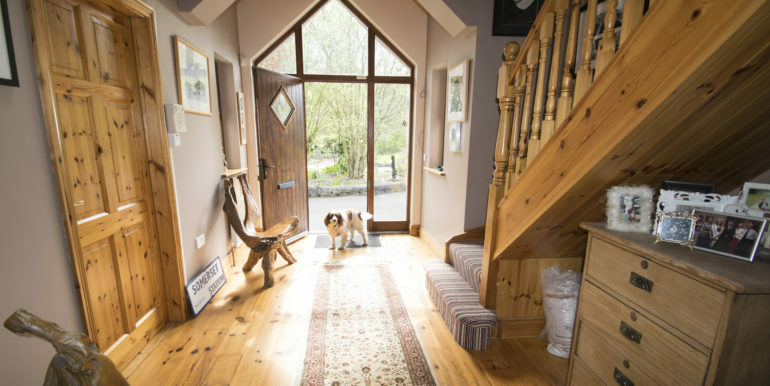 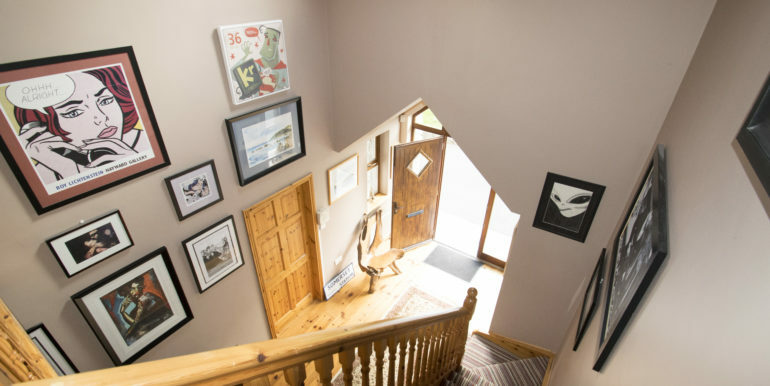 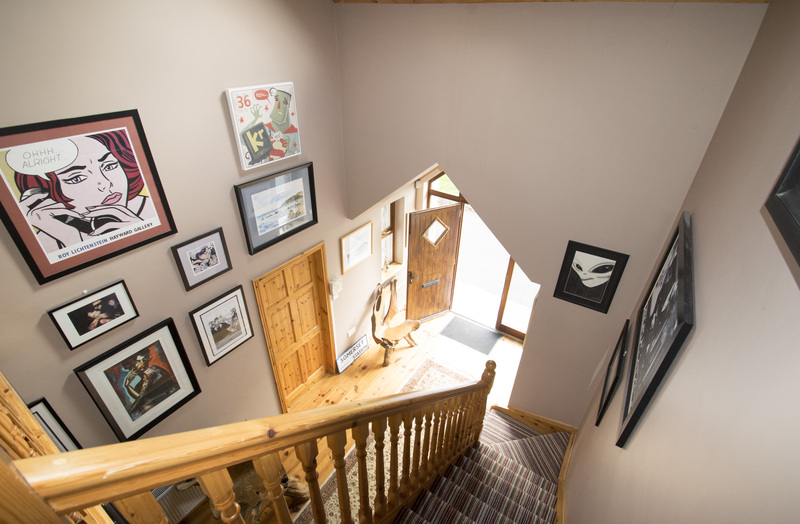 The spacious double height entrance hall creates a striking first impression. 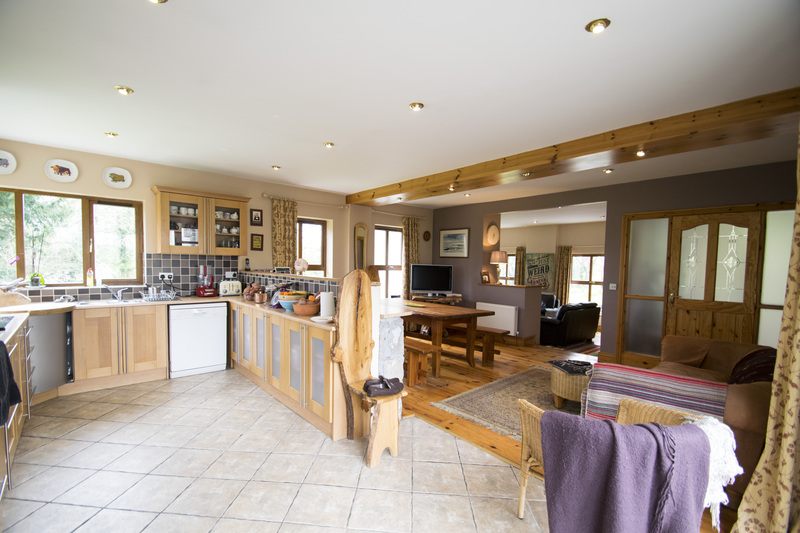 Pitch pine flooring flows from it into the airy open plan kitchen and dining area and down into the sunken living room. 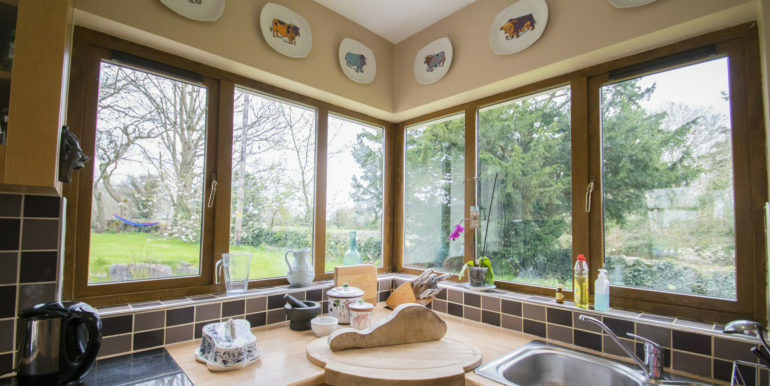 Large windows in every room fill the space with light and offer unobstructed views to the rolling farm land and down on to Castle Taylor itself. 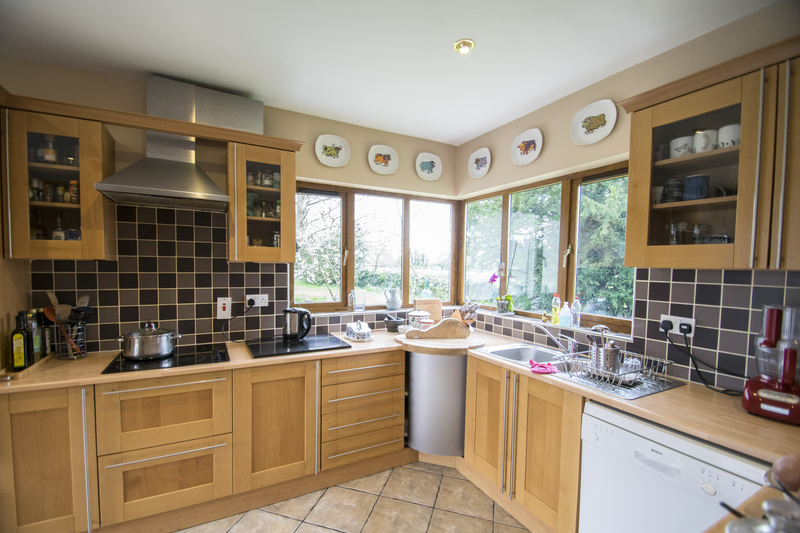 Double French doors open from the kitchen to the rear driveway and garden. 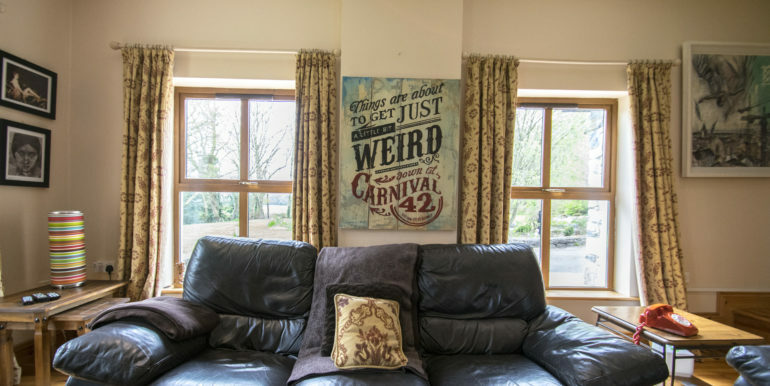 There’s a six metre long greenhouse with a sheltered porch area so you can sit and enjoy the views and the fresh air whatever the weather. 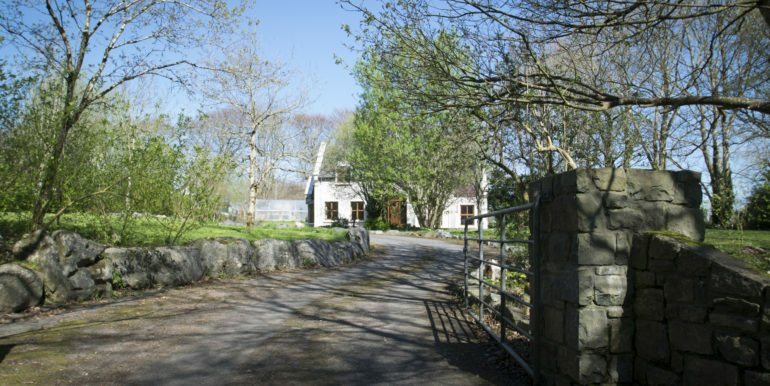 The house has its own water well which is housed in another outbuilding beside the greenhouse. 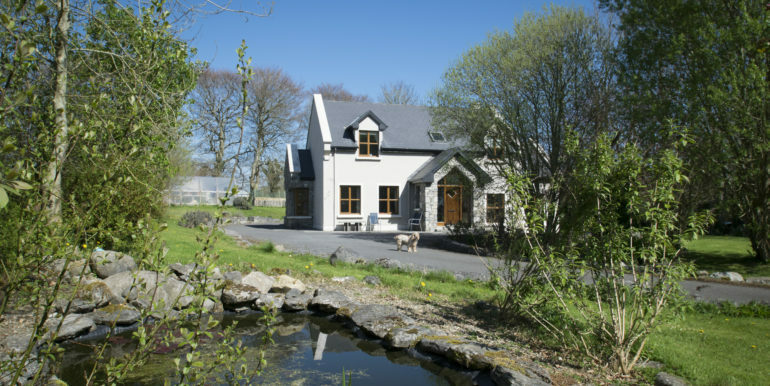 It provides beautifully fresh spring water straight to the kitchen tap. 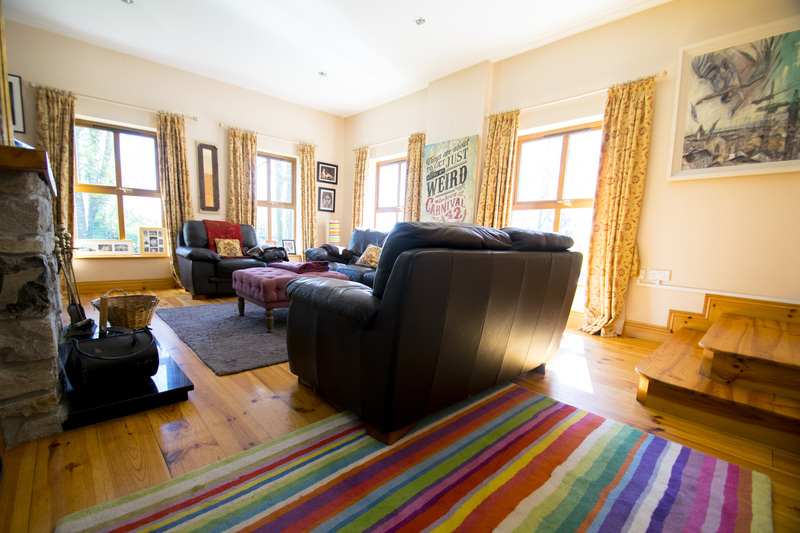 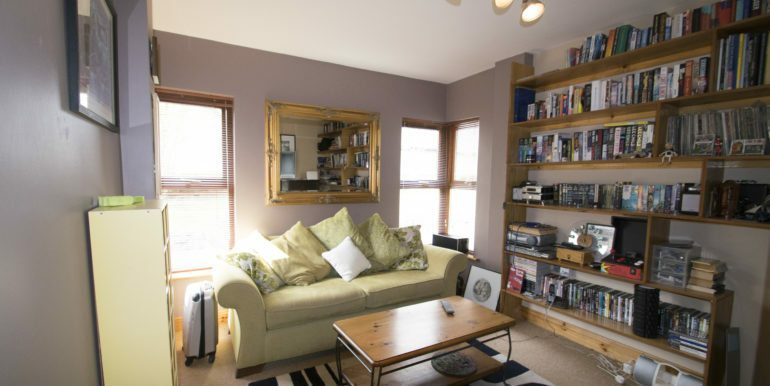 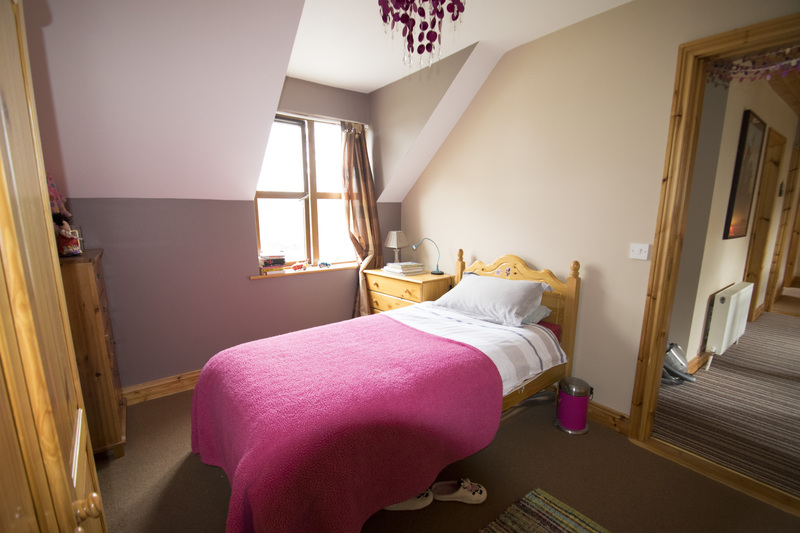 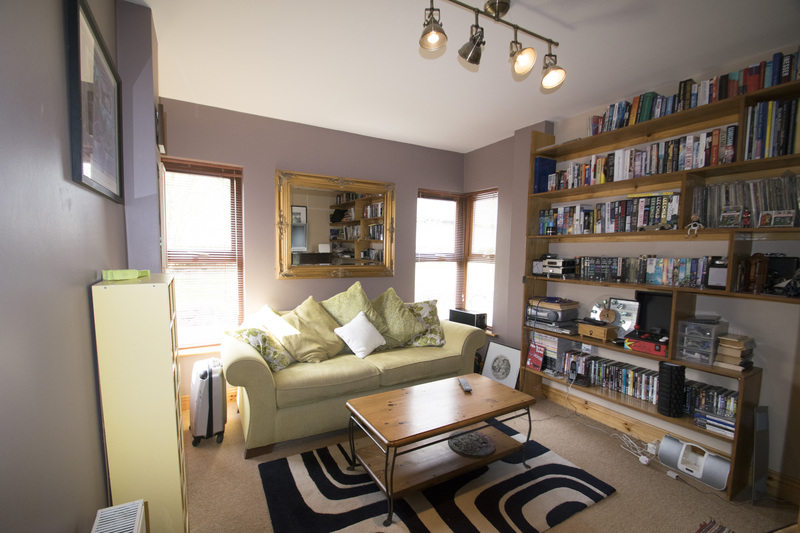 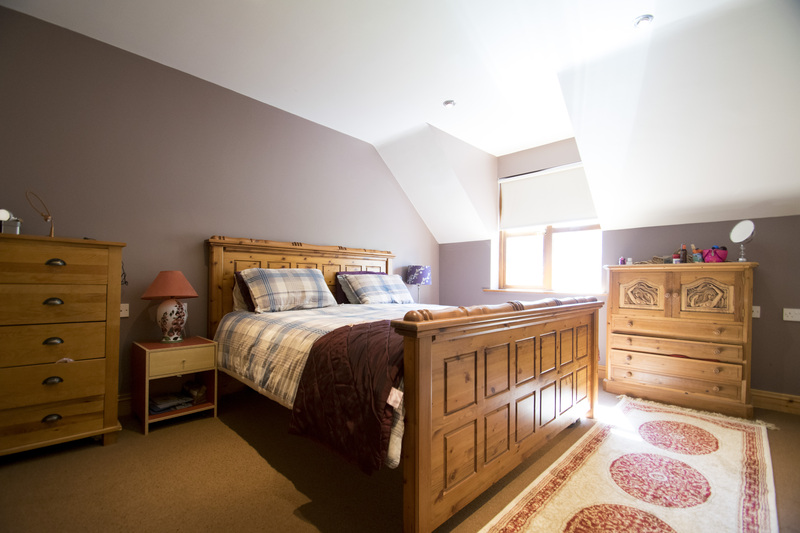 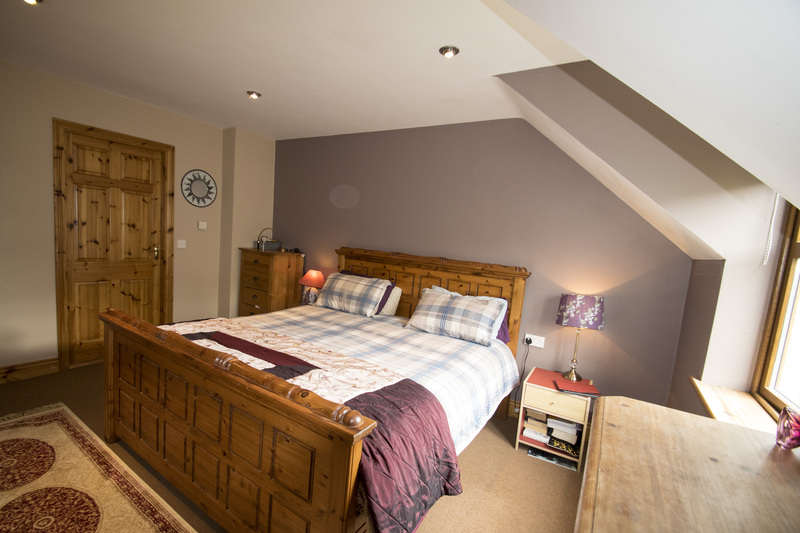 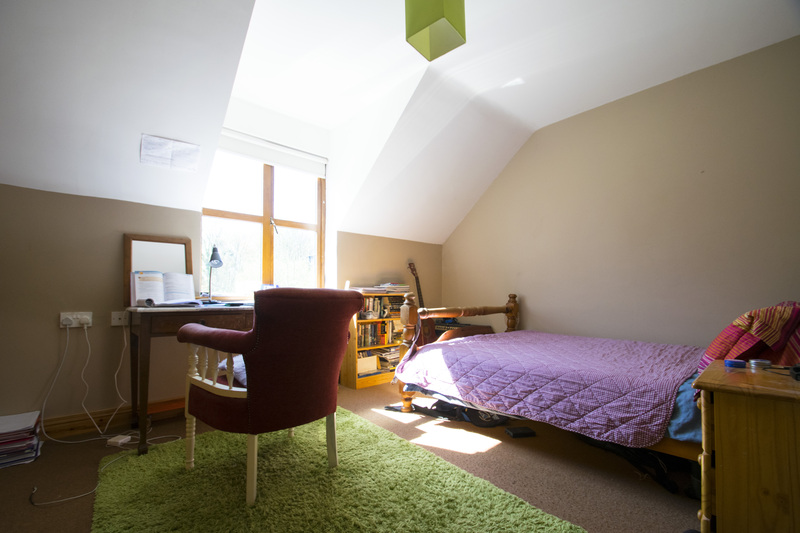 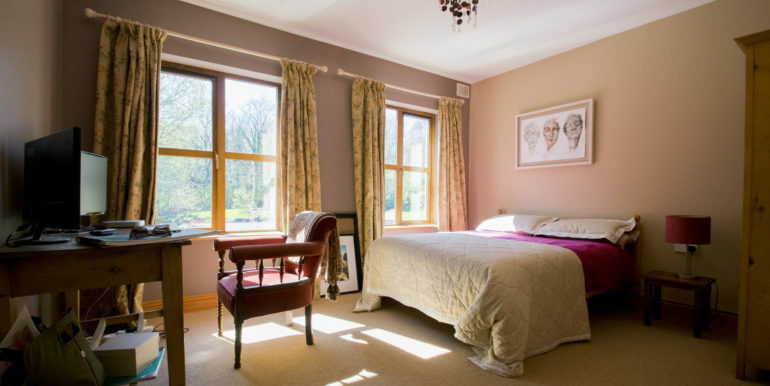 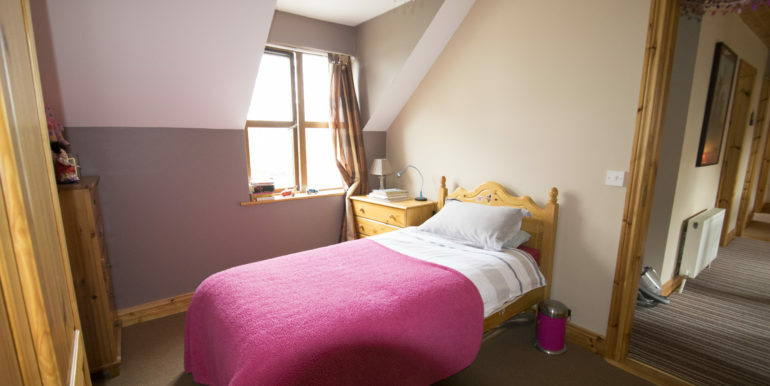 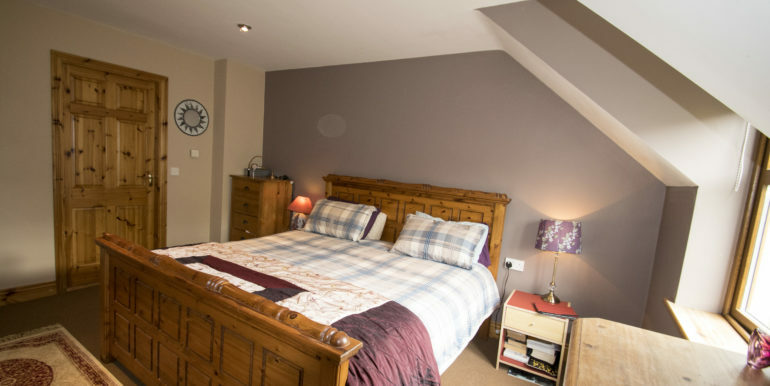 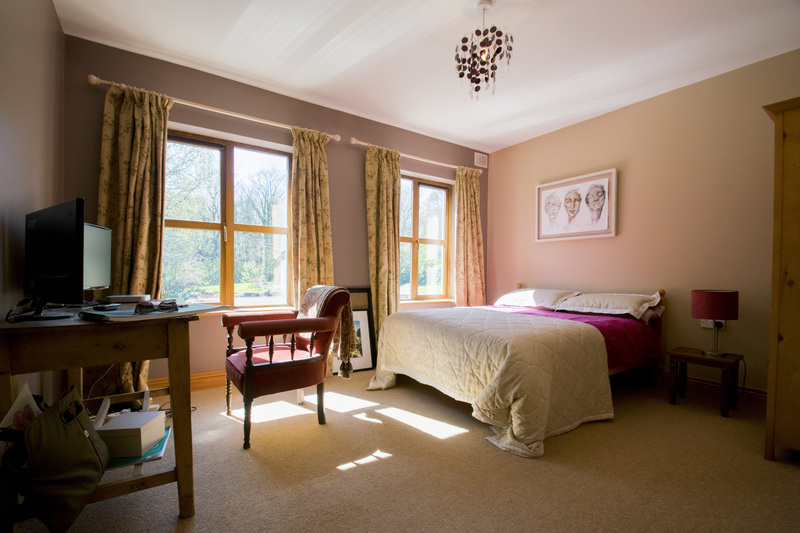 Also on the ground floor is a spacious double bedroom and a separate living room/library, perfect for lounging with a good book. 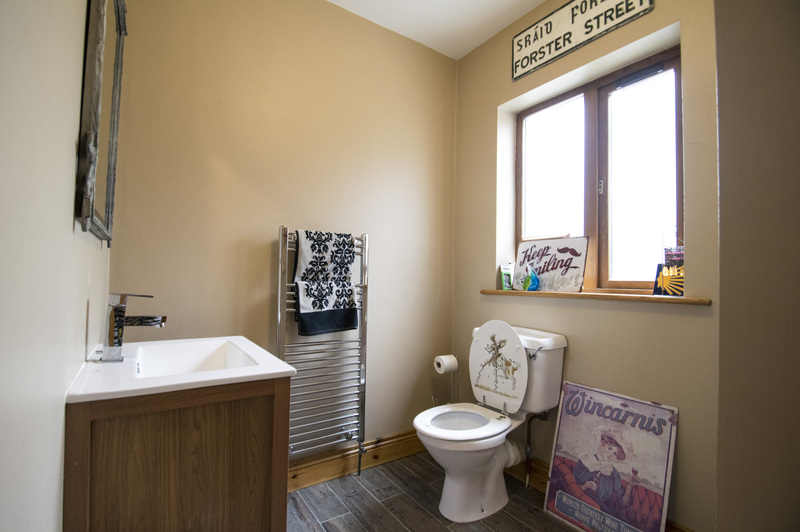 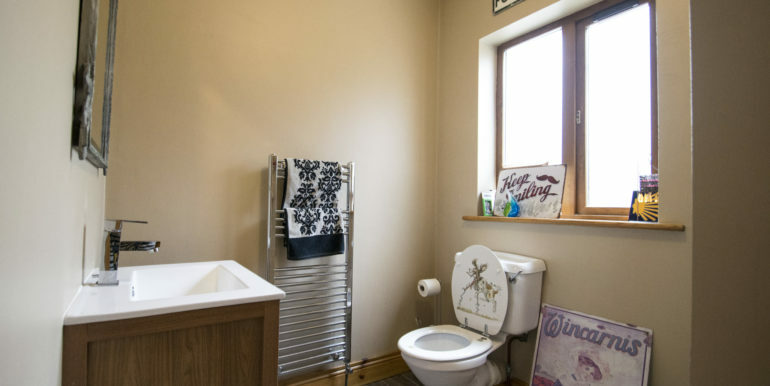 There’s also a toilet and shower room, which has only recently been fully remodelled. 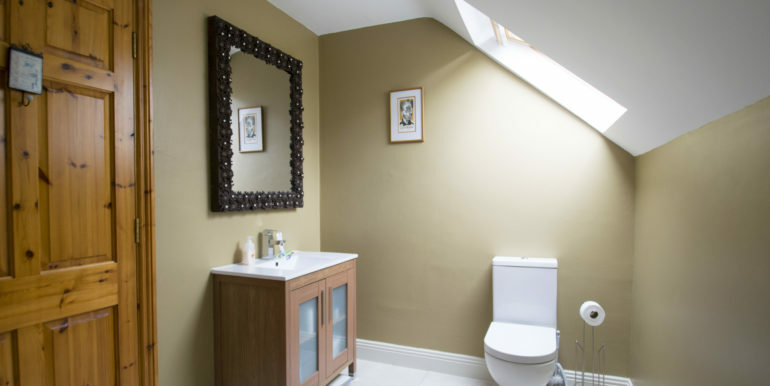 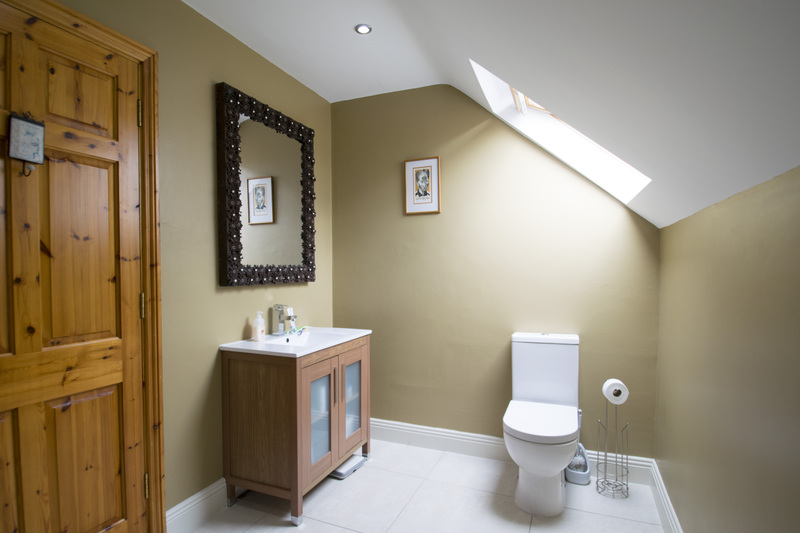 Upstairs there’s a large family bathroom, which has also been redesigned, and 3 bedrooms. 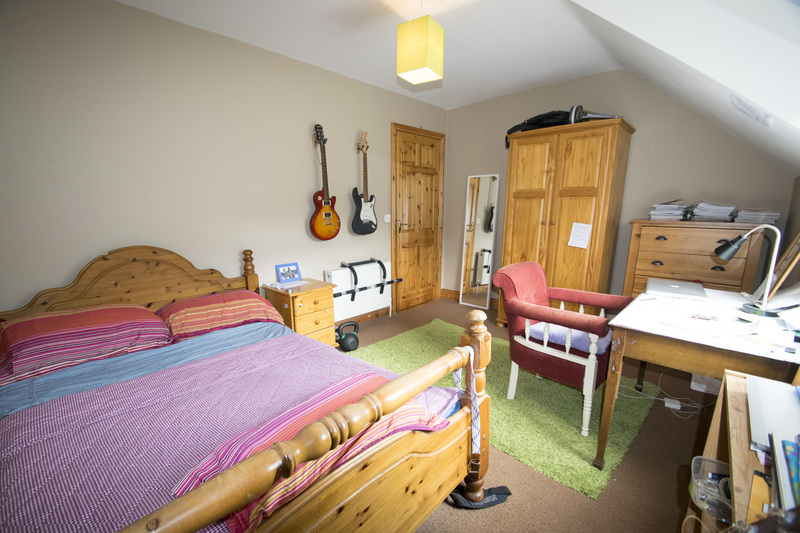 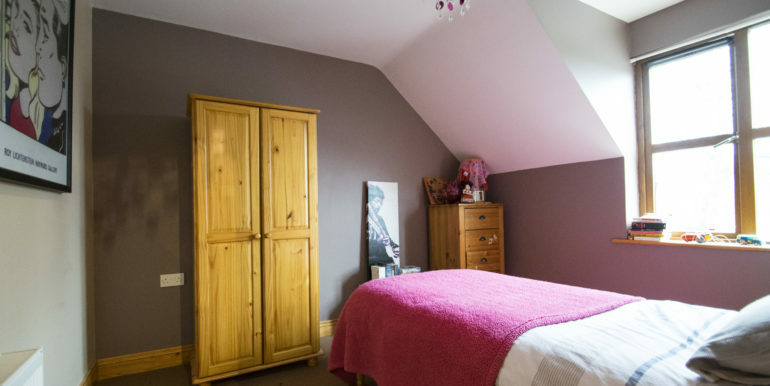 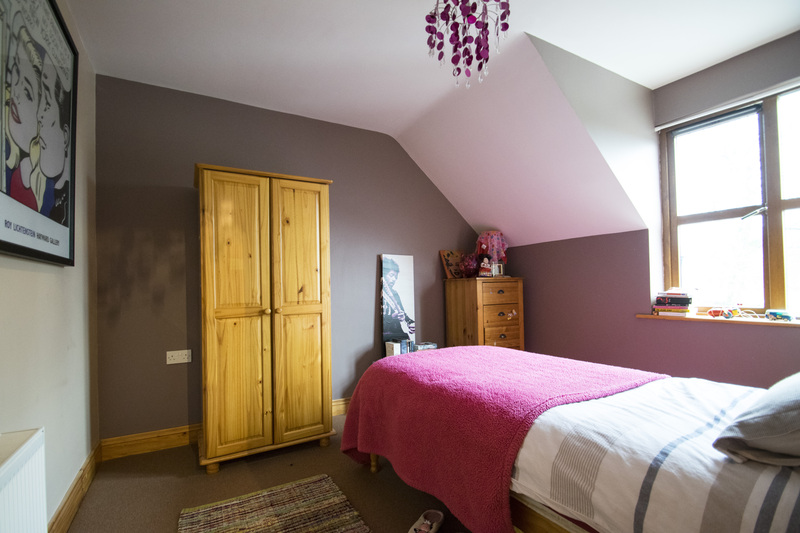 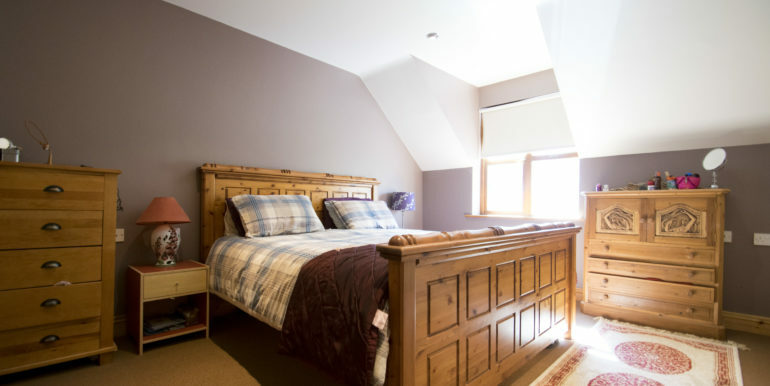 The largest of which, the master bedroom, also has a generous walk-in wardrobe. 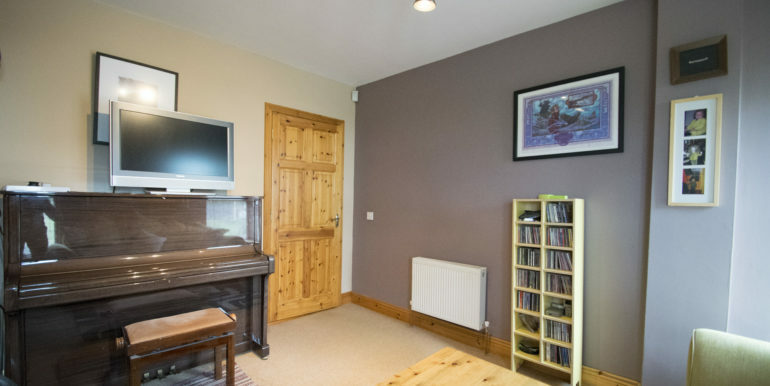 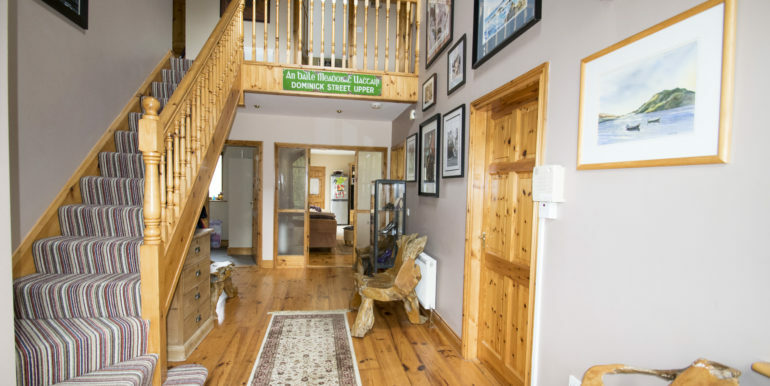 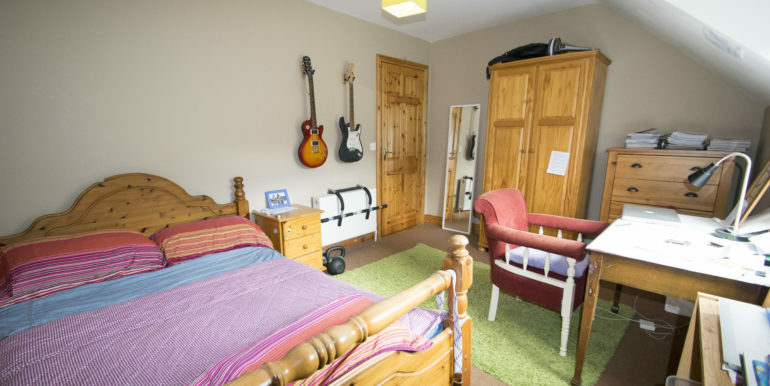 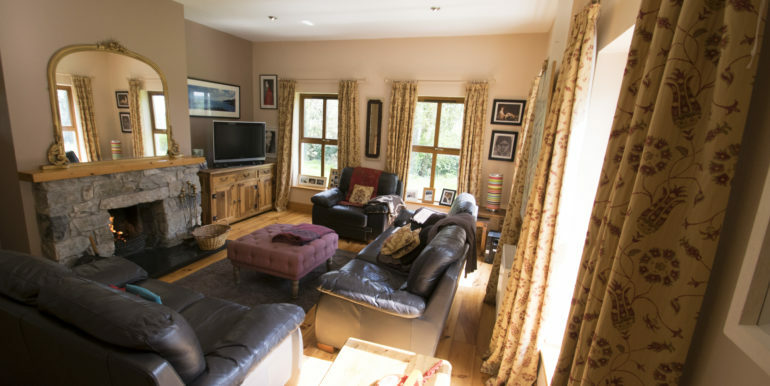 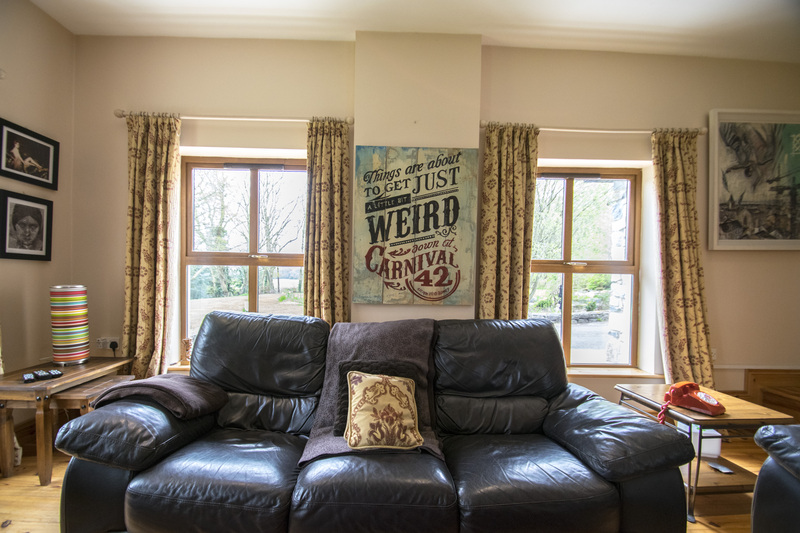 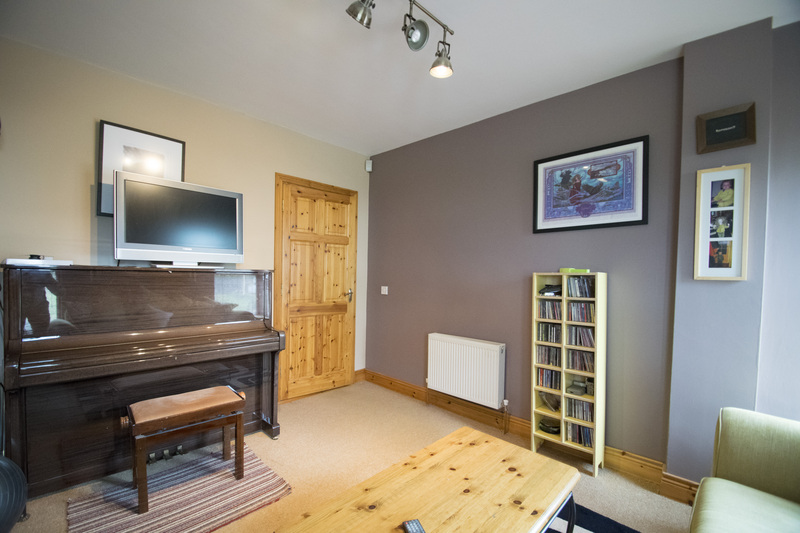 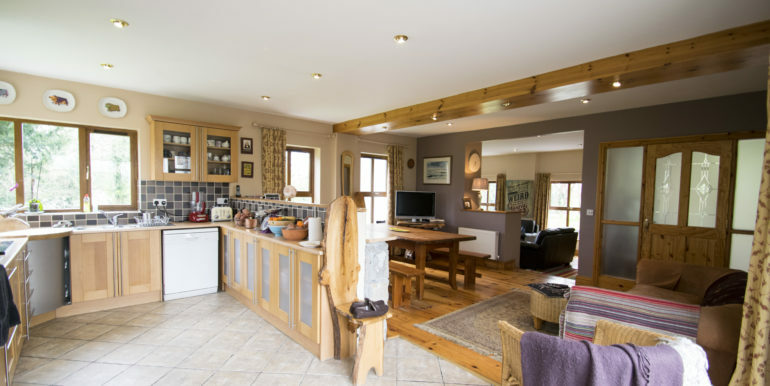 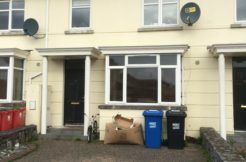 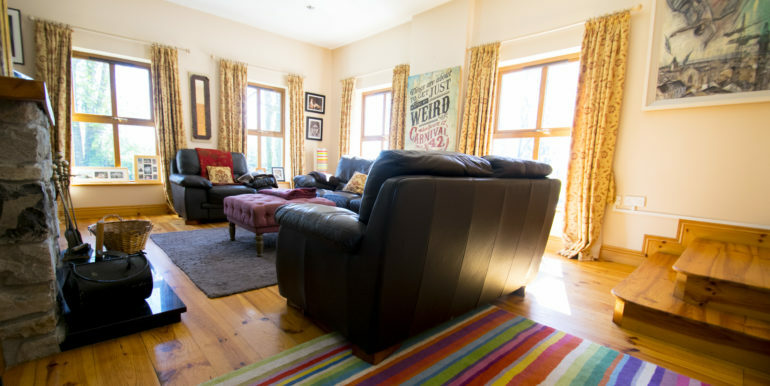 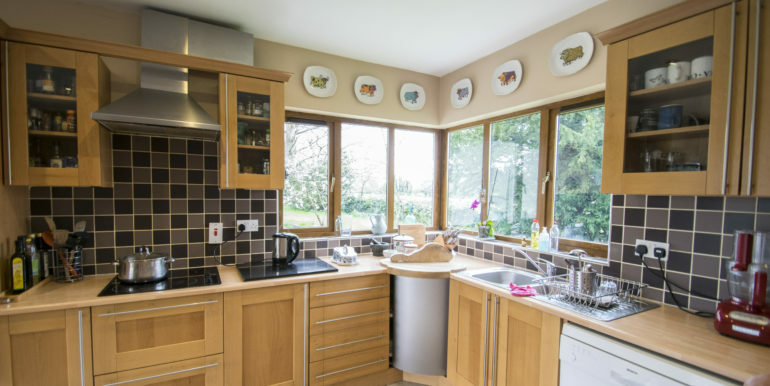 With a bus from the end of the road to a choice of both primary and secondary schools, and with easy access to the Limerick and Dublin roads, this is the perfect family home. 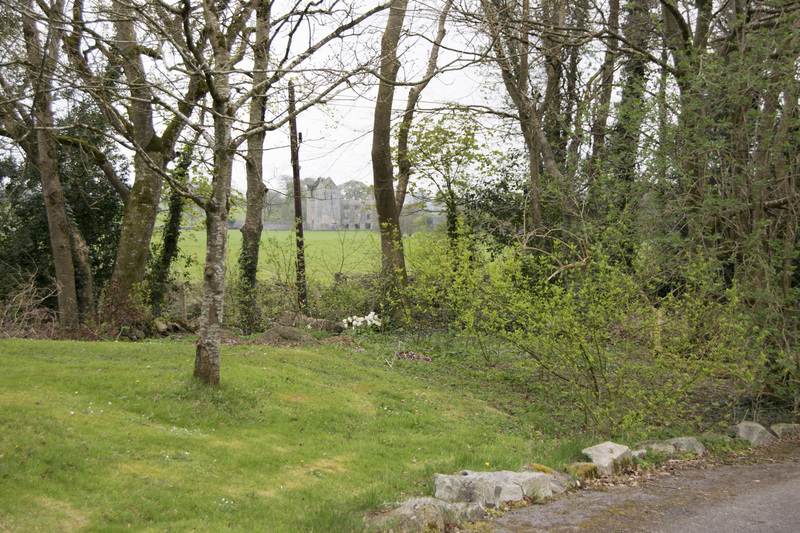 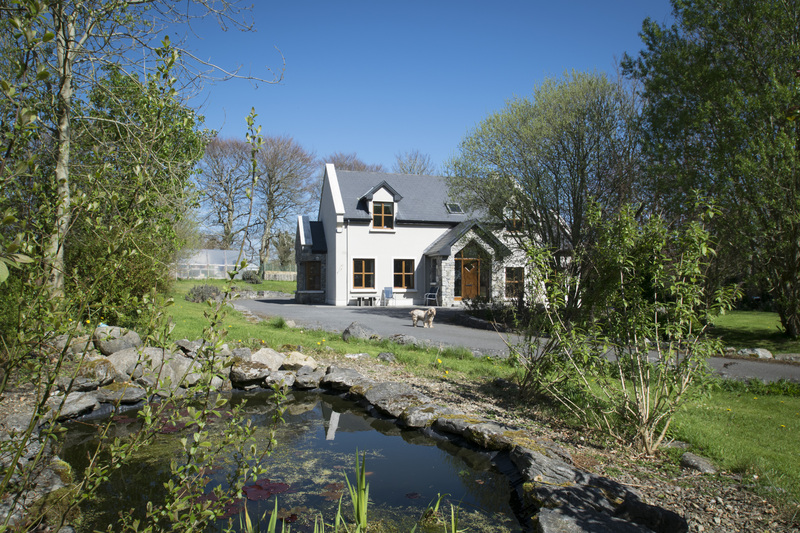 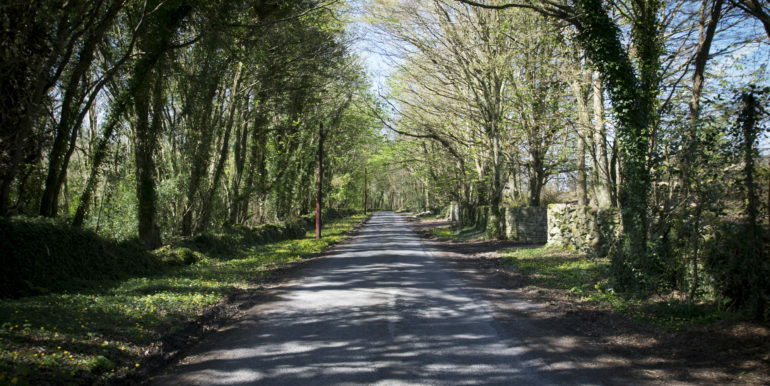 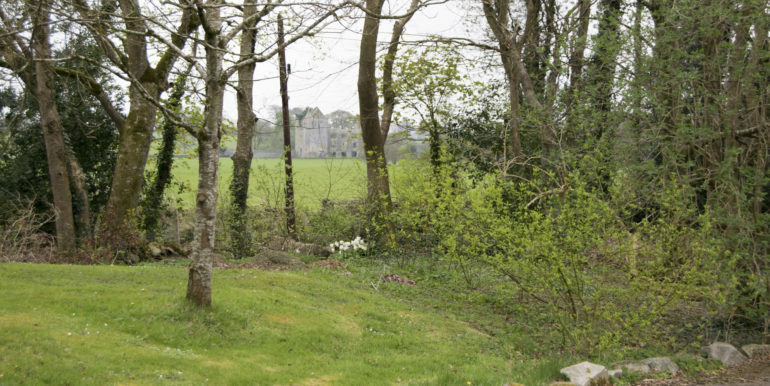 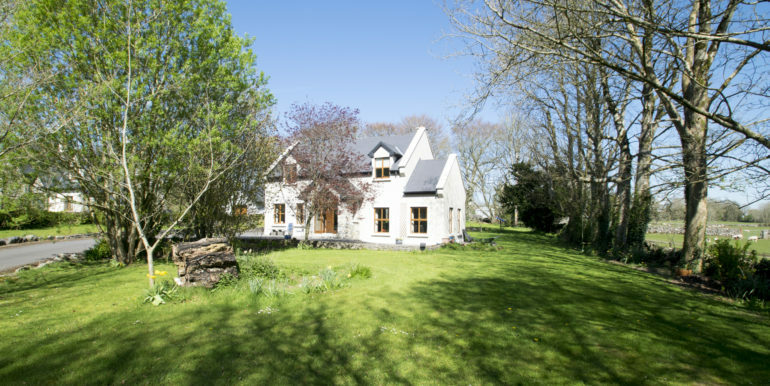 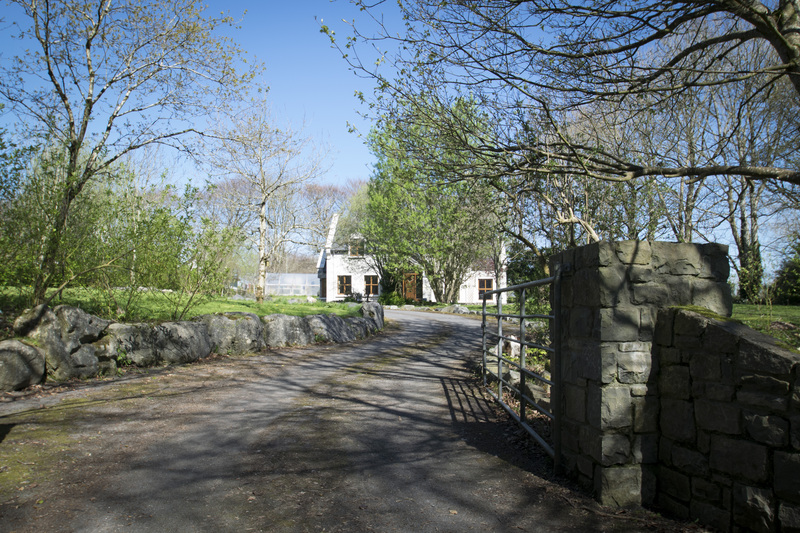 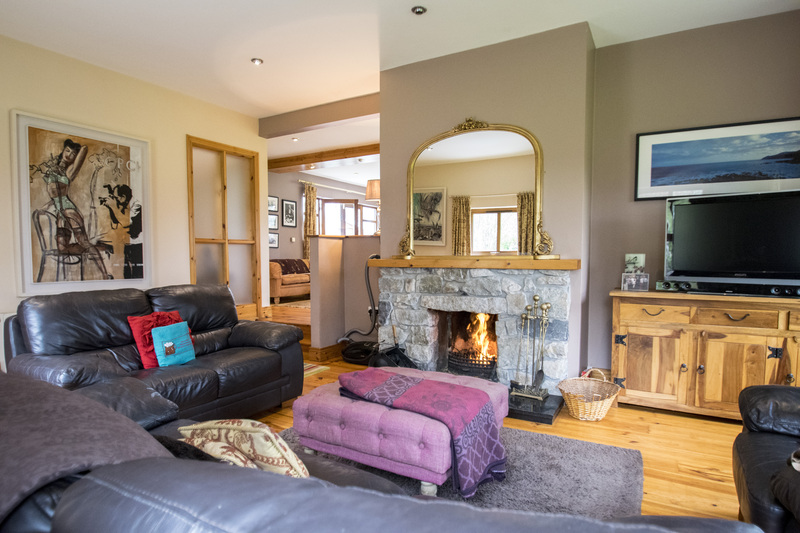 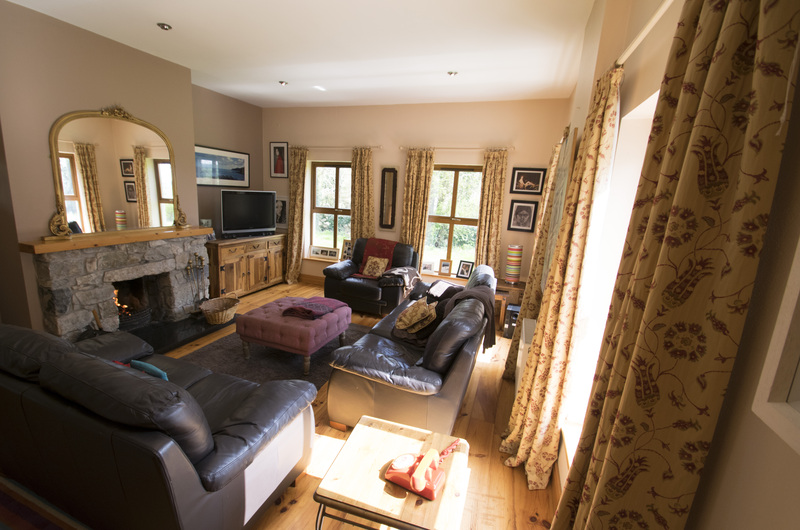 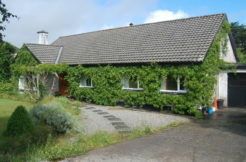 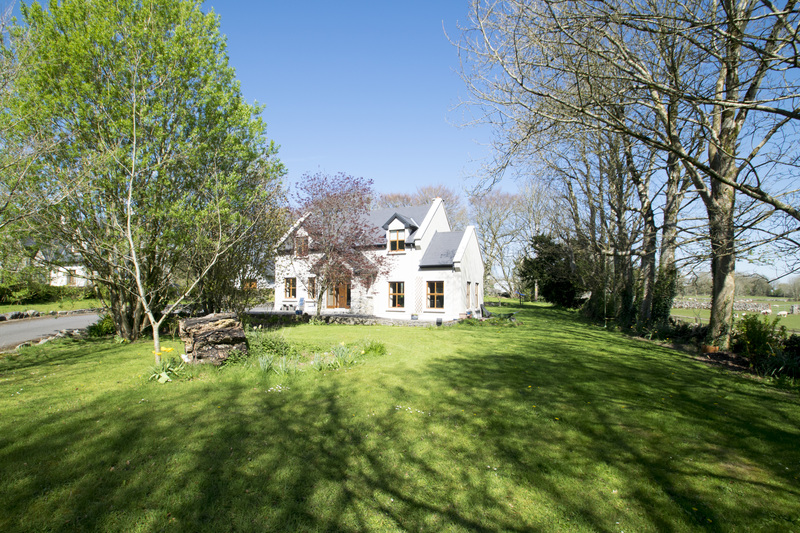 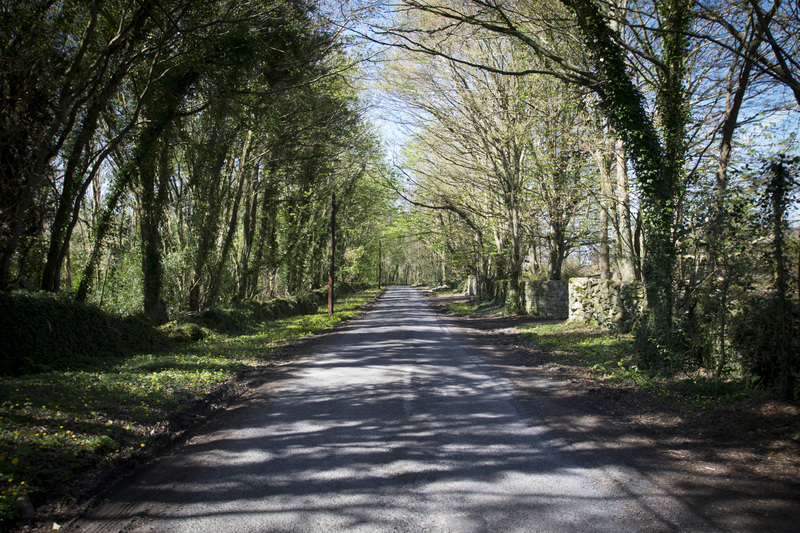 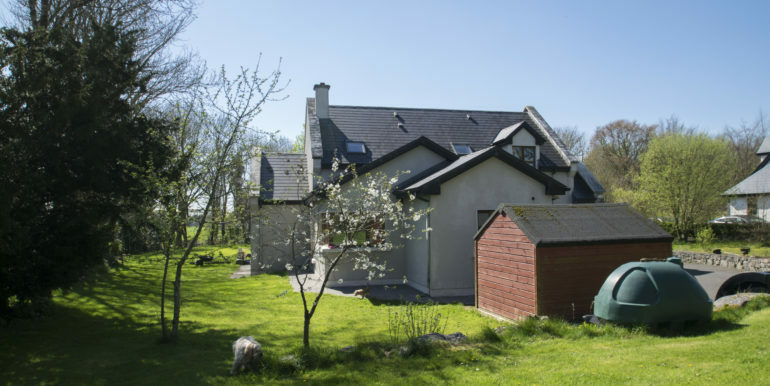 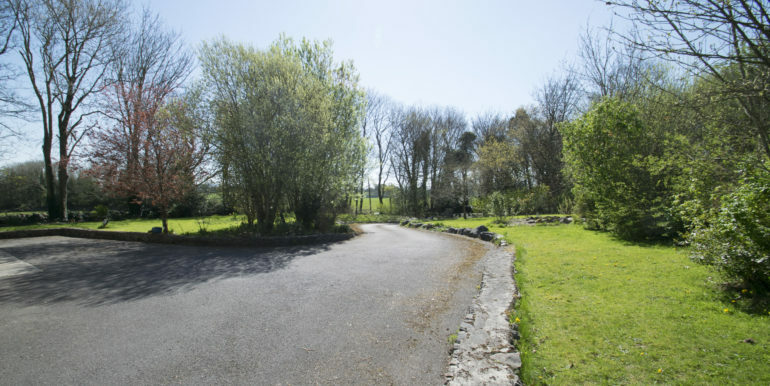 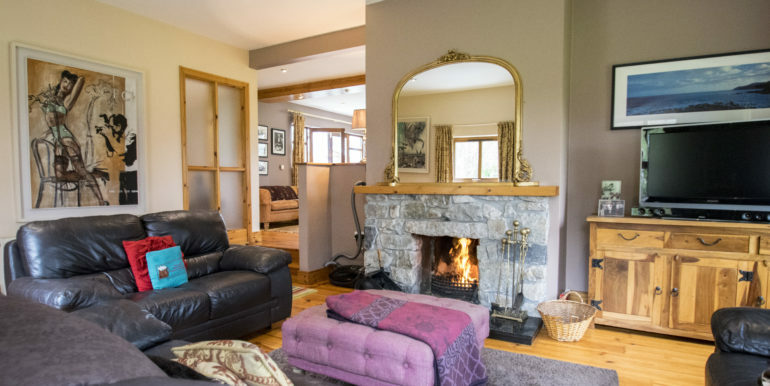 An idyllic woodland location with peace and privacy, all just a 20 min drive from Galway city centre. 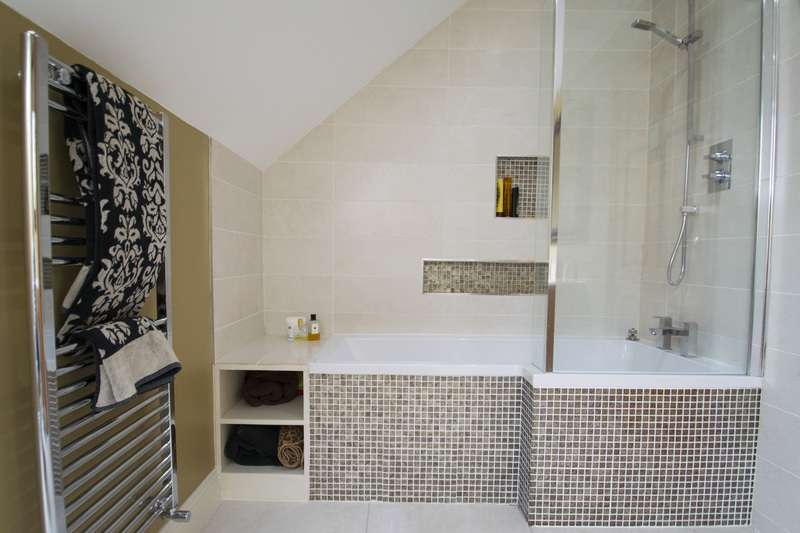 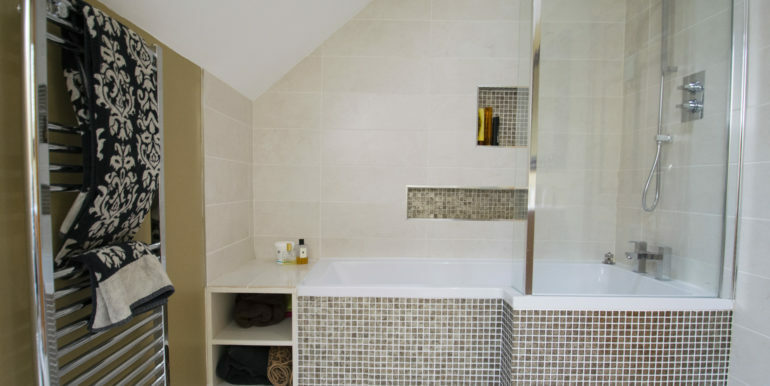 Guest Bathroom 8’ x 6’ Modern re fit to the convenient bathroom with shower, w.c & whb. 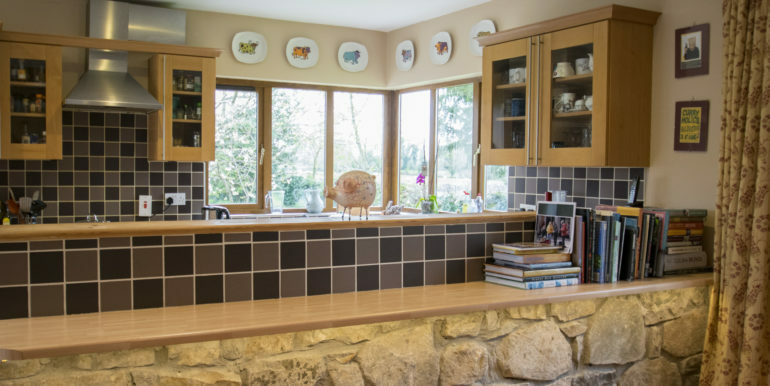 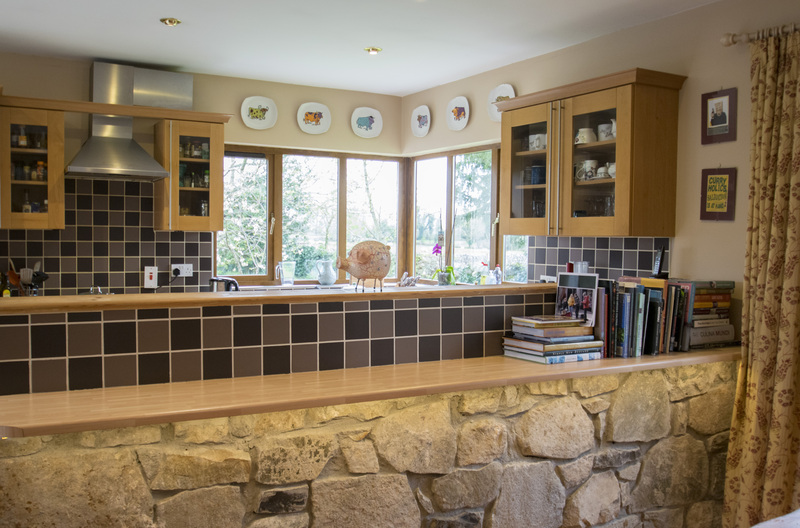 Finished to exacting standards, from the cut stone to the pitch pine floors to the high quality tiling and décor, this home is ready to walk into.